Welcome to the December edition of ‘The loop’, which is our last for 2018. It's been an incredibly busy year for us working towards our vision of an age friendly Wales. From everyone at Age Cymru we'd like to say a big 'thank you' for your support throughout 2018. We, along with our local partners, look forward to continuing to make a difference to the lives of older people in Wales in 2019.
Who do you turn to when times get tough? Imagine if you had no one to turn to. No one to ask when you just don't know what to do next. No one to be there for you when you're facing a crisis. No one to talk with when you're feeling desperately lonely. That's the reality for more than 2.5 million older people who feel they have no one to turn to. Age Cymru is here. We want to continue to be there for older people who have no one to turn to. You could help us be there to answer the next call. Thousands of people rely on us every year, and we can only be there with your support. You could help us be there to answer the next call. As part of our campaign to tackle loneliness and isolation, particularly during winter, we teamed up with Bill’s Restaurant in the city centre to provide a complimentary lunch for 24 older people. As well as the complimentary lunch provided by Bill’s, guests received Christmas gift boxes donated by staff from Hugh James Solicitors, wine donated by Morrisons, Cardiff Bay and gift bags of Welsh cakes donated by the Servini Bakery. Our guests shared Christmas memories and how they would like to spend their Christmas. 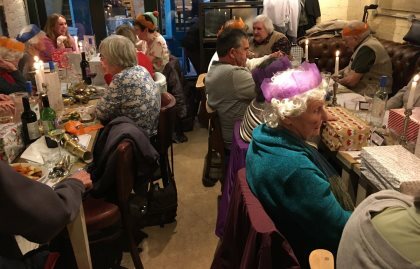 One gentleman said the lunch was a great excuse to leave his house and that afterwards he was going to see the Christmas lights around Cardiff – something he hadn’t done for years. There are lots of reasons why many older people become lonely and isolated; they may have retired from work and lost touch with former colleagues, suffered a bereavement or have debilitating health problems. Others may find it a struggle to make ends meet so focus on paying their bills rather than socialising. Cutbacks to local services such as day centres, libraries, and bus services can also impact on an older person’s ability to engage with their local community. Of course these feelings of loneliness and isolation are particularly strong at Christmas time when the rest of us are enjoying the festive season with family and friends. 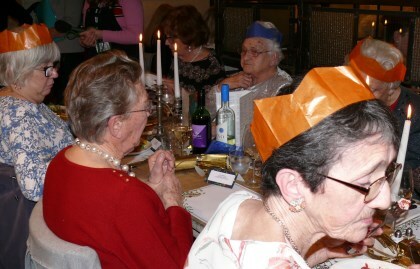 We’re encouraging communities across Wales to organise festive gatherings for older people. Together, we can combat loneliness and isolation on a national scale. It’s not just ‘the box in the corner’. It’s a window on the world, a human voice when you’ve not spoken to another person in days. For over a million of the oldest people in our country, television is their main form of company. It’s their constant companion and central to their lives. And right now, it’s under threat. Half of all over 75s are living with a disability, and many rely on their TV for companionship and entertainment. Nearly a third of over 75s are living in poverty or just above the poverty line. For them, paying a hefty extra bill would simply be impossible when they’re barely scraping by as it is. Removing vulnerable older people’s access to TV would be a cruel blow when many are already facing such huge challenges. 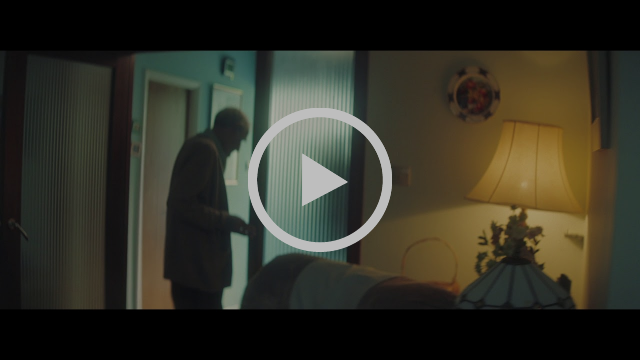 Together with Age UK and organisations across the country who represent older people, we are demanding the Government takes back responsibility for keeping TV free for the over 75s. Because it’s not just a licence. It’s a lifeline. 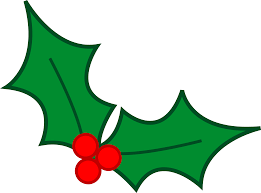 Whilst doing all your lovely Christmas shopping, you could be helping us to raise vital funds. We're delighted to be a charity on Smile Amazon. This means for every purchase you make, Amazon will donate to Age Cymru. It's easy to set-up - simply follow the link to Smile Amazon below and you'll be guided from there. Please help us to continue to be there for older people in Wales. We’re running a competition to win this amazing Christmas hamper, kindly donated by our friends at Western Power Distribution. 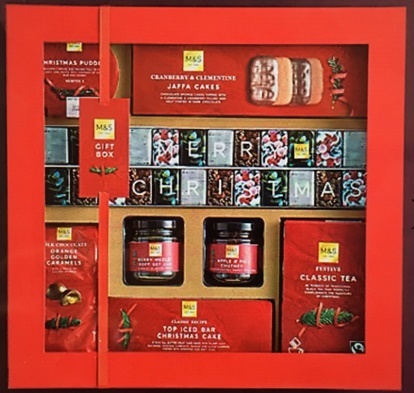 The hamper is from Marks & Spencers and is the £30 Classic Christmas gift box. We’d like you to nominate someone to win this lovely hamper, someone who makes a real difference to the lives of older people in your area? A real community hero. To enter, head over to our Facebook page and place your nominations in the comments box and tell us why they’re a community hero. The competition closes at 12pm on Monday 17 December 2018. The winner will be chosen on Tuesday 18 December by us and WPD. This is a fantastic opportunity to celebrate and recognise a community hero. 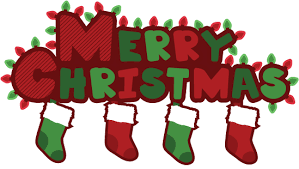 We’d like to take this opportunity to wish you all Nadolig Llawen a Blwyddyn Newydd Dda / Merry Christmas and Happy New Year. Please remember to include older people in all your celebrations. Copyright © 2018 Age Cymru. All rights reserved. You're receiving this because you're a member of Age Cymru's email list.